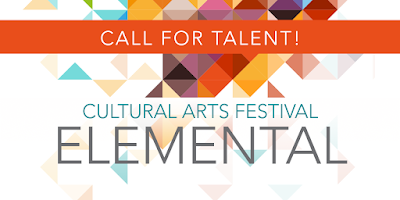 Rio Salado College | RioNews: Elemental Arts Fest Call 4 Talent Deadline 2/12! Elemental Arts Fest Call 4 Talent Deadline 2/12! Are you the biggest star and no one knows it? Share your talents in music, dance, photography, storytelling and more at the Maricopa Community Colleges' Elemental Cultural Arts Festival! Submit your entry before the Feb. 12 deadline and save the date for the big show at Phoenix Art Museum on April 4. The 3rd Annual Elemental Cultural Arts Festival brings together a diverse group of student and community artists, along with faculty scholars, to expand the depth of cultural/multicultural artistic expression through the arts at Maricopa Community Colleges. For more information about the festival, please contact the Maricopa Center for Learning and Innovation via email at mcli@domail.maricopa.edu.